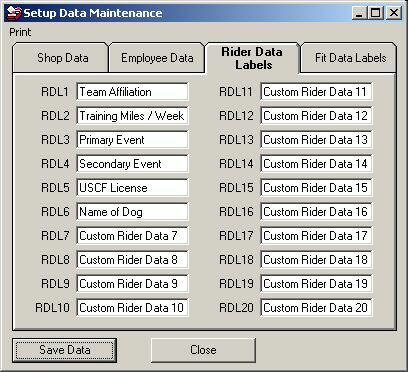 Each of the 20 fields on this tab represent the labels for the data fields on the Rider Notes form that you will see later. Use these to labels to customize the program and store additional information about your customers. You can track club or team affiliations, riding style information, name of their dog or any other information that you require.